A sparkling Ball of Glitter!! 28th November, Selson Park Hotel, Croydon was the first ever Anna Kennedy Online Glitter Charity Ball organised by Charity Champion Mala Thapar. The Charity Ball raised much needed funds for the leading autism charity and received support from several celebrities including Gogglebox’s George Gilbey, Big Brother’s Pete Bennett, Actress Nicola Duffett, Ex On The Beach’s Jess Impiazzi, Holly Rickwood and Meg Rees and Love Island’s John and Tony Alberti. Patrons Steven Smith and Jo Redman were proud to be once again supporting AnnaKennedyonline. Live entertainment from Mitch Winehouse and his band, and singer Lauren Lovejoy and Main Compere Austin Hughes kept the guests thoroughly entertained in between courses. And a live auction saw Anna Kennedy, Founder of the charity auctioning off her own dress. It was a fun and lively night all round. 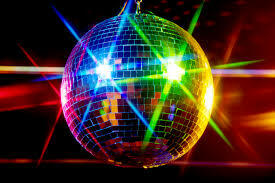 “Our first ever Charity Glitter Ball was a huge success, and the feedback that we have had has been phenomenal. A massive thank you to all those who attended and for the ongoing support. For a small charity, these events are so important in raising funds and awareness, and it is always amazing to see the turn out and response.” – Anna Kennedy OBE, Founder of Anna Kennedy Online. Young patron of the charity Ryan Wiggins, 14 who recently filmed a video for the charity for Anti Bullying Week, which has gone viral, performed a duet with Mitch Winehouse at the ball. “Ryan has achieved so much in the past year, and has worked hard for our charity. Ryan was a finalist at our annual event Autism’s Got Talent and has been heavily involved in the charity since. We are so proud of him, and can’t wait see what he does next!” – Anna Kennedy continues. The hotel provided a fantastic backdrop for the ball, and an event filled with glitz and glamour. The ball ended with a disco and after party, which included a photo booth, a quiz game and raffle. “The Charity Glitter Ball was a fantastic end to a busy year, and we can’t wait to kickstart our new year plans. We are already planning for our ‘ Totes Amaze Ball ‘ ball next year, organised by our Charity Champion Nicky Rodriguez as well as our next huge event Autism’s Got Talent in May 2016.” Anna Kennedy concludes. Bullying affects so many children and adults and the results can be damaging for them and everyone around them. If you’re suffering, speak up – (you’ll be surprised how much people will want to help), and if you see it, stand up to it. Please share, even if this makes a difference to one person. Diagnosed with Asperger Syndrome at the age of ten, Ryan has been consistently bullied at school ever since he can remember, for being ‘different’. Ryan’s moving DIY short film, which has been viewed over 4000 times, was posted as part of National Anti-Bullying Week. In the black and white footage the camera follows Ryan through a typical day, from waking up in the morning to going to bed at night, with his own voice providing the commentary and a moving insight into the trauma he faces on a daily basis. With few friends at school, Ryan turned his focus to supporting other young people with autism and concentrating on his love of drama and singing. Last year he performed for Autism’s Got Talent and sung Someone Like You by Adele on the stage at London’s Mermaid Theatre. An annual event, Autism’s Got Talent is organised by Anna Kennedy OBE. Named the Daily Mail’s Woman Of The Year in 2012, Anna helps raise awareness about the condition which has around 700,000 individuals affected here in the UK. A lifelong developmental disability, autism impacts on how a person communicates with and relates to the world around them. A spectrum condition, it affects different people in different ways. 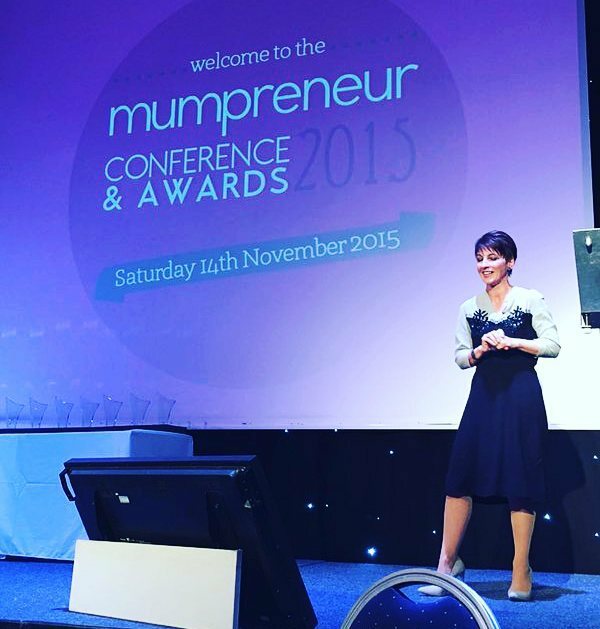 Anna Kennedy inspires 250 Mumpreneurs in Warwickshire! Here are just a few of the Comments posted on Social Media after Anna spoke at Mumpreneur Awards and Conference UK , Heart of England Conference Centre in Warwickshire. @StorkSecret@AnnaKennedy1 Anna is one of the most empassioned, empowered bundles of energy I’ve ever had the pleasure of meeting. So proud. @AnnaKennedy1 Thanks for the chat today. You truly are amazing. I like how you stand; so bold and confidently. And I love your honesty. High profile autism champions Dame Stephanie Shirley and Anna Kennedy, OBE, have given their support to a campaign against ‘mate crime’, the bullying of vulnerable people such as those with autism by their own so-called friends. Dame Stephanie Shirley, named as one of the most powerful women in Britain by the BBC, funds pioneering medical research into autism through her Shirley Foundation. Anna Kennedy is founder of Autism’s Got Talent plus two schools and a college for young people with autism. 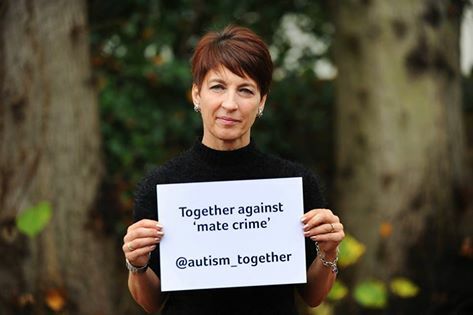 Autism Together, the multi-award-winning North West charity behind the campaign, has adopted the slogan ‘Together against mate crime’ and is asking anyone concerned about this issue to photograph themselves with the slogan and post the image on their own social media channels. The campaign is timed with Anti Bullying Week (16-20 November). Over a third of adults with autism had been subject to bullying or manipulation of a sexual nature – including being coerced into ‘sexting’. Numerous organisations have already agreed to be part of the ‘Together against mate crime’ campaign including: Merseyside Police, Progress to Excellence Training, Brain in Hand, the Autism Alliance, OMI Interactive, Sensory Direct and Globo PLC. Anyone wishing to contribute a photograph can find out more at:https://www.autismtogether.co.uk/together-against-mate-crime-campaign. Kilmarnock Farm Stables on Charlwood Road in Ifield, Crawley has been the hub of rescued animals since 2002. In December 2014 they became a registered charity. The farm has now become home to several donkeys who have been rescued by owner Carol and her team. The farm has always welcomed those looking to adopt a horse in the past and are now looking for sponsors for the donkeys which arrived a few weeks ago. Carol told us “we are really pleased to have the donkeys here on the farm. We were self funded up until a year ago when we gained charity status. We would love people to come and visit the donkeys. They can come along and see them and feed them. We are also looking for sponsors so we can keep them in food and bedding. This can all be very expensive, especially during the winter. We have a great team here who are constantly fund raising. If anyone would like to sponsor a donkey we would like to invite them down to meet them first. When the farm had the new donkey stables erected they decided it would be nice to call the building Angelo’s Den in honour of Anna and the work she has done for the charity since becoming patron of the farm. Anna told us “I was honoured when they told me they were going to call the new stable Angelo’s Den. 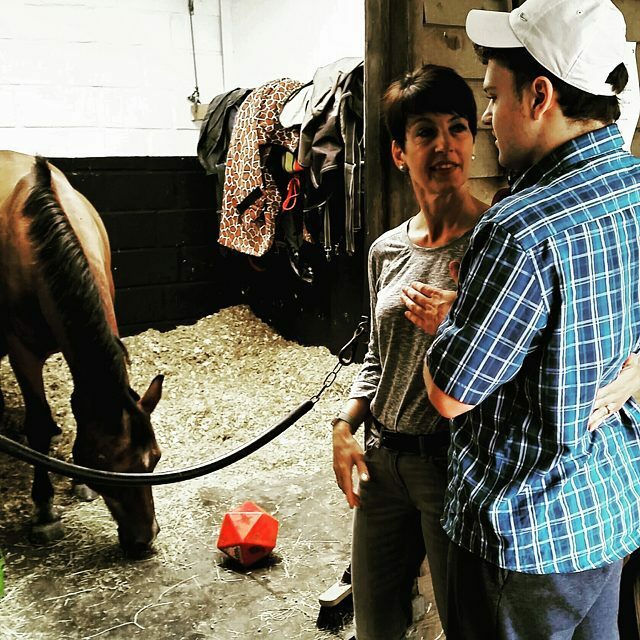 I have always been interesting in equine therapy so last summer we bought about 14 families with autistic children to the farm and they loved it!